Had my first proper photo shoot tonight. 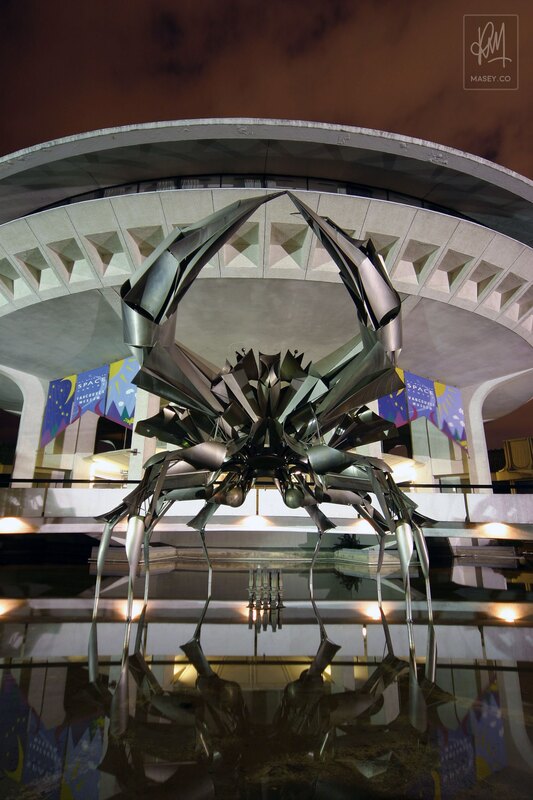 We had a pretty cruisy day so I was keen to head across the Burrard Bridge after sunset (10pm) to shoot one of Vancouver's more famous sculptures – the giant metallic "Norris Crab" featured outside the H.R. MacMillan Space Centre.